The new Series 4 version of the DT80 Universal Input Data Logger has increased sampling speed, measurement range, and programmable analog output. 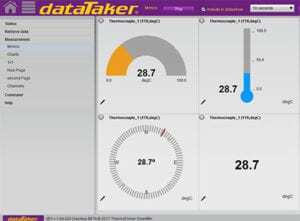 The dataTaker DT80 Universal Input Data Logger provides an extensive array of features that allow it to be used across a wide variety of applications. 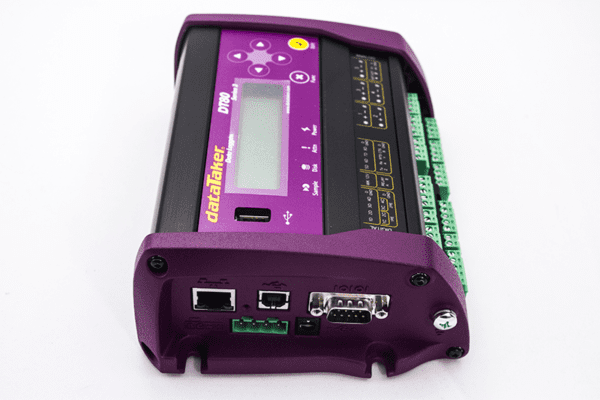 The DT80 is a robust, stand alone, low power data logger featuring USB memory stick support, 18-bit resolution, extensive communications capabilities, and built-in display. 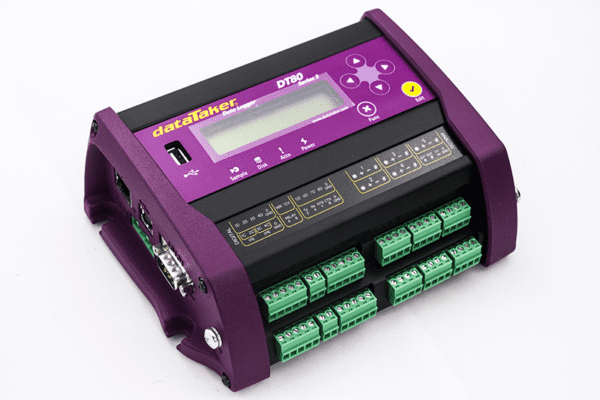 The dataTaker DT80’s Dual Channel concept allows up to 10 isolated or 15 common referenced analog inputs to be used in many combinations. With support for multiple SDI-12 sensor networks, Modbus for SCADA systems, FTP and Web interface, 12V regulated output to power sensors, the DT80 is a totally self-contained solution. Set up sampling, logging, alarm and control tasks to suit your own requirements while interfaces for smart sensors, GPS, and other intelligent devices expand the DT80 flexibility. 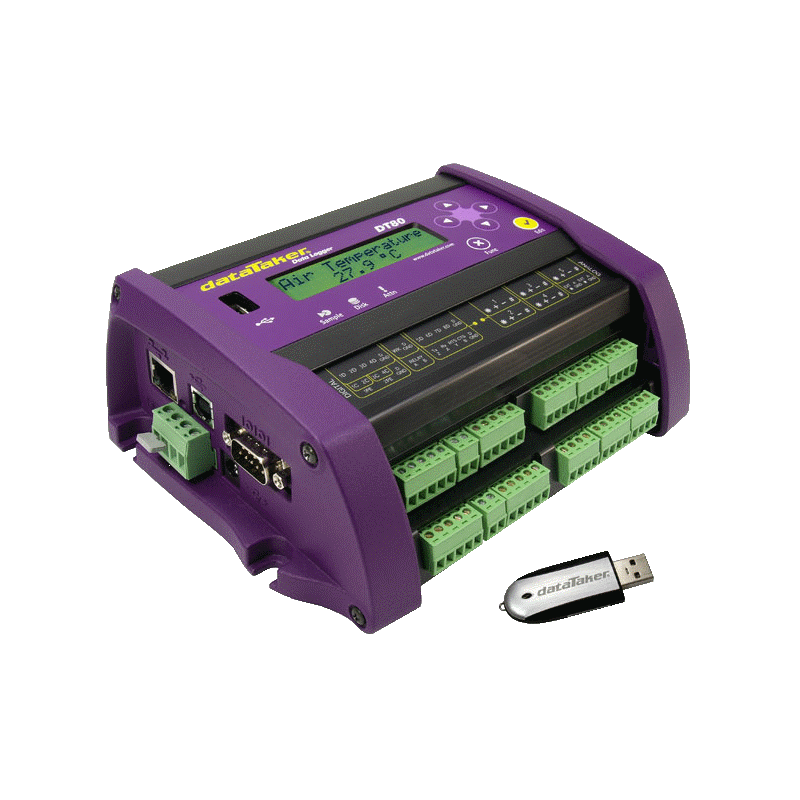 Communications features include RS232, USB, and Ethernet, connect to the DT80 locally, remotely through a modem or over the Internet. The web interface allows users to configure the DT80, access logged data and see current measurements as mimics or in a list using a web browser. Read how the DT80 universal input data logger was used for Nitriding Process Temperature Trending in Industrial Heating Magazine. Fundamental Input Ranges The fundamental inputs that the DT80 can measure are voltage, current, resistance and frequency. All other measurements are derived from these.